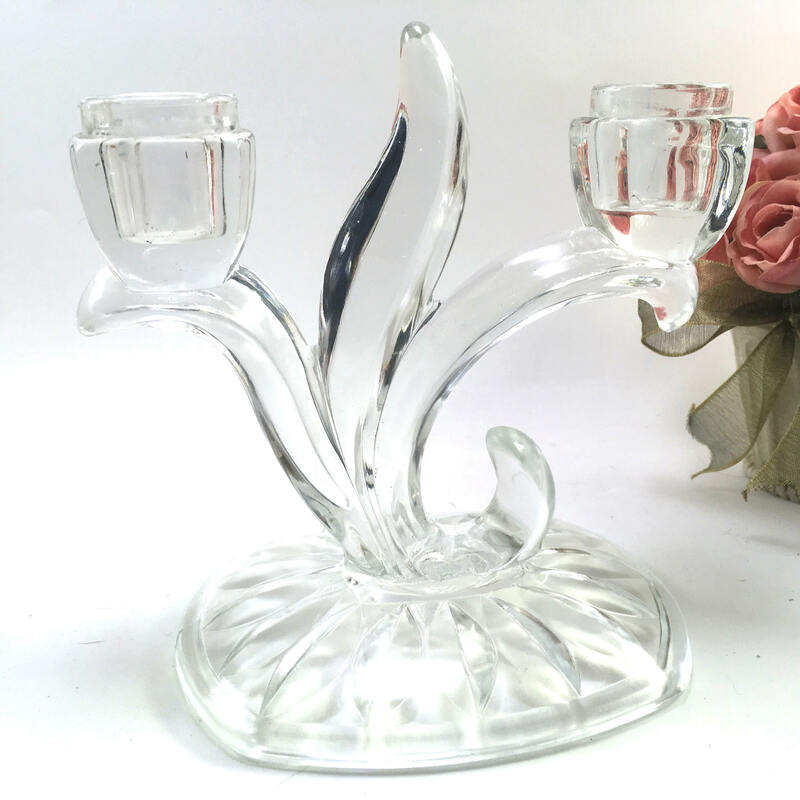 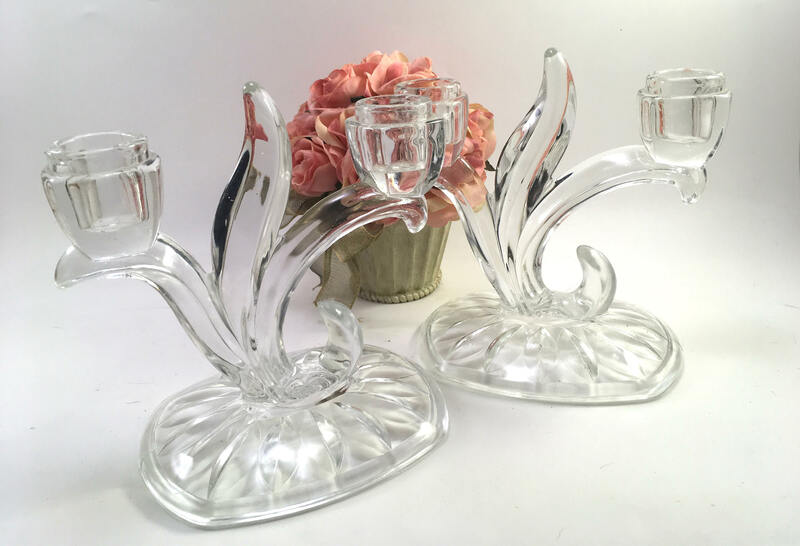 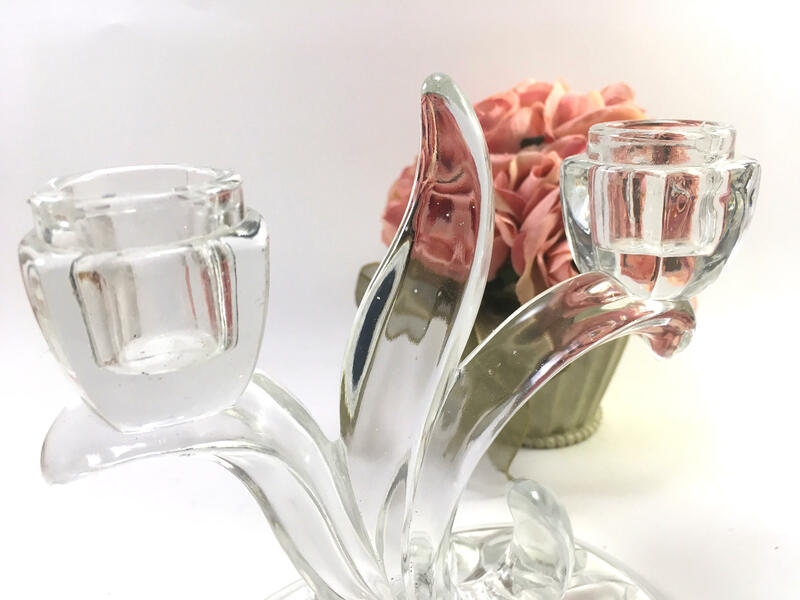 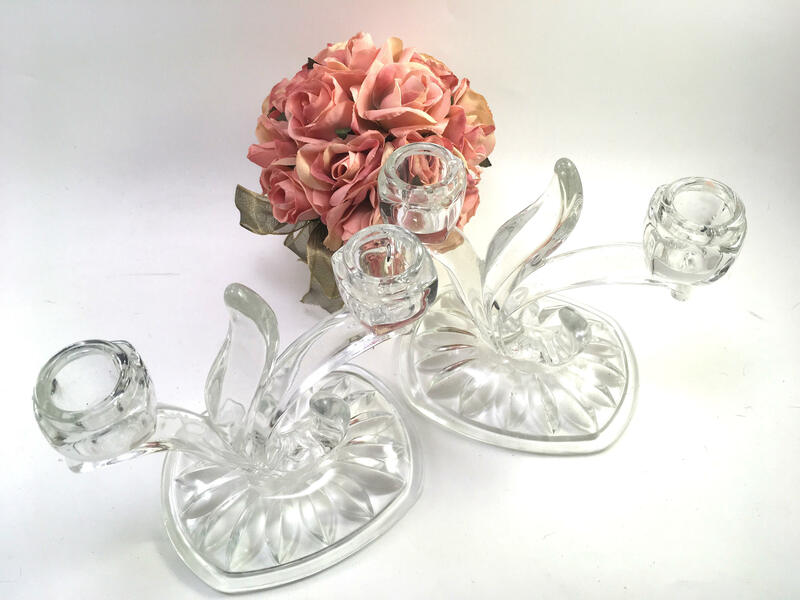 Pretty pair of heavy clear glass taper candle holders features a floral design. 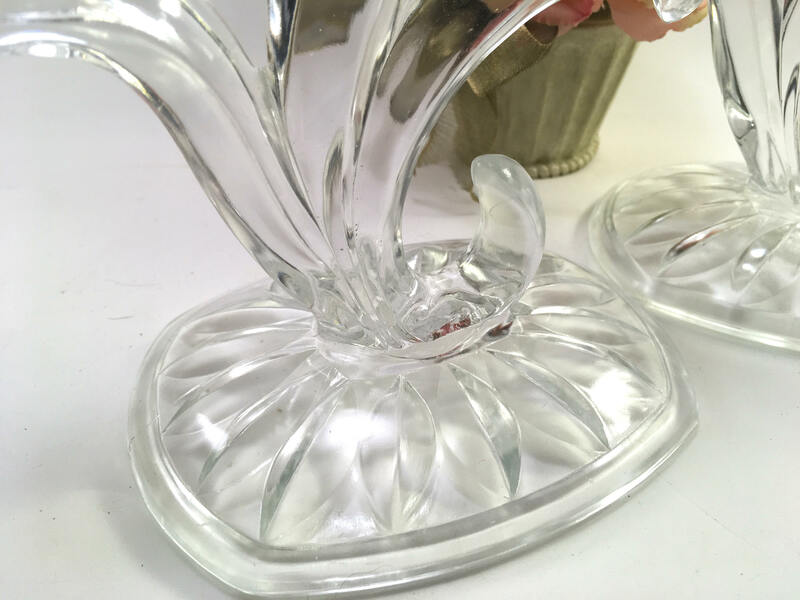 One that, with its leaf and bloom shape, makes me think of tulips! 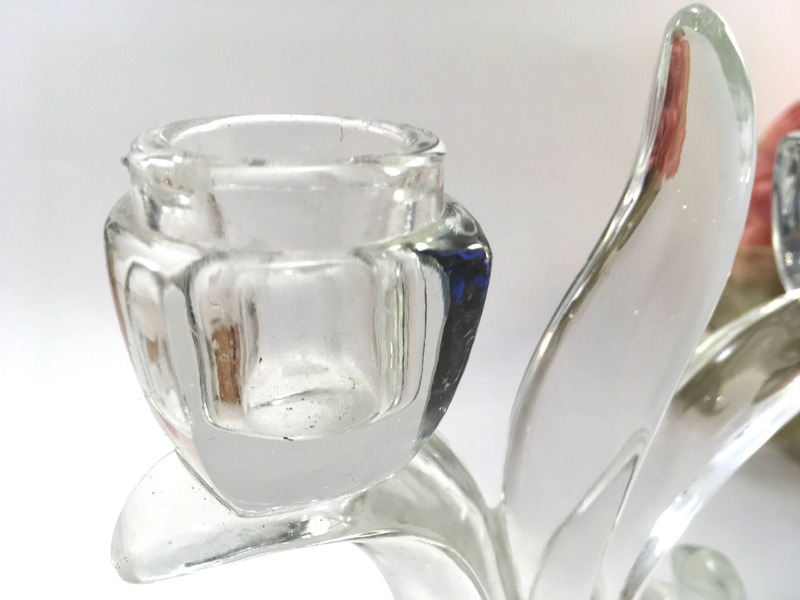 Each holder holds 2 tapers. 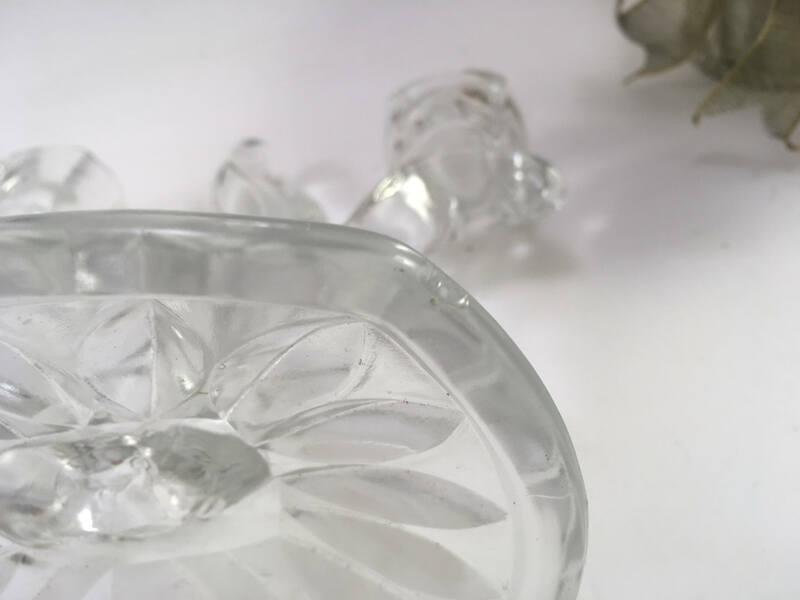 The large cut glass base anchors the organic form of the flowering plants.